It’s hard to ignore that summer is over and the signs of fall are here. It has been a beautiful week though; the leaves have turned and fallen, and it’s time to rake our yards. Also, on most of the area lakes there are tight clusters of small black duck-like birds with white beaks. These birds are the American Coot (Fulica americana) and are not actually ducks but are a type of marsh birds from the rail family. Today I will talk about the proper way to dispose of leaves and yard waste to keep them out of the lakes and give a description of the American Coot. First of all, leaves contain nutrients that fertilize lake plants and algae. When you rake your yard this fall, avoid raking the leaves straight into the lake or onto the street. 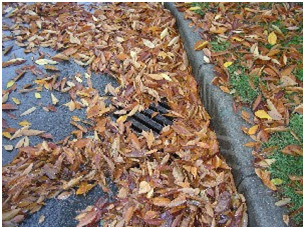 When leaf piles sit in the street or shoreline, wind and rain carry them into the lake and storm sewers, adding nutrients. In addition, rain seeping through leaf piles makes a rich “nutrient tea” that flows into the storm drains even if the leaves themselves don’t move. The best thing to do is to bag your leaves and take them to a compost site or dumping station or compost them yourself. You can turn leaves into an asset by using them right in your yard. You can recycle your leaves for mulch, fertilizer, organic matter, soil improvement and weed defense. To mulch leaves, you’ll need to shred them by taking a couple passes over them with the lawnmower. For more information on composting fall leaves visit: http://www.extension.umn.edu/distribution/horticulture/DG5570.html. Now onto the American Coot, which is also sometimes called a “mud hen” in the Midwest. The coot is a migratory bird and a good swimmer. During the summer, coots are found in freshwater lakes and ponds of the northern United States and southern Canada. During winter, they head to the southern portion of the United States and are found from California to Florida. The ones in the Detroit Lakes area currently are probably on their way south for the winter from Canada. Coots assemble in large flocks in winter on open water and have been observed in Minnesota in flocks of 50,000 or more. They are unique as well because they form such tight clusters. They dive for their food like ducks, and their omnivorous diet includes marsh plants, algae, seeds, roots, snails, worms, aquatic insects and small fish. 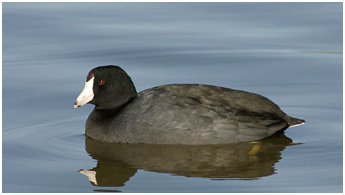 For more information on the American Coot, you can visit: http://www.dnr.state.mn.us/birds/americancoot.html. Enjoy the lakes! This article was written and shared by Moriya Rufer at RMB Environmental Laboratories as part of continuing education for their Lakes Monitoring Program (218-846-1465, lakes@rmbel.info). Was your lake water clarity lower than usual this May? Many lakes in northern Minnesota experienced this. It is most likely because of the late ice-out and/or the rainy last few weeks. When the ice goes off the lake in the spring, the lake turns over (see article on lake stratification and mixing). 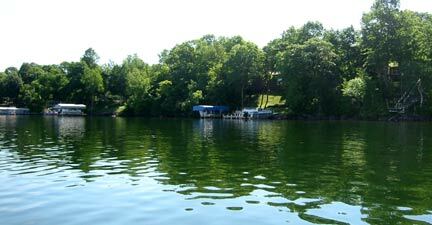 When the lake turns over, the water becomes cloudy and the nutrients that mix up from the bottom can feed algae blooms. Usually spring turnover happens in late April or early May, but this year with the late ice out spring turnover occurred in late May. In addition to the late ice out, we received 2-6 inches of rain in late May and early June. This rain could have caused runoff and erosion, which can also make the lake cloudy. This week, lake clarity should be very good because the lakes have started to stratify, and we’ve had a dry week. One way to determine water quality is to do clarity monitoring (Secchi depth) and chemical testing (phosphorus) in the lake. 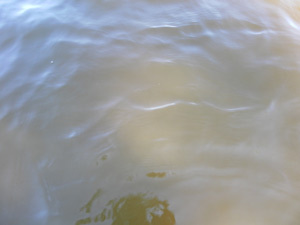 Another way to determine water quality is to look for clean water indicators. Using both water quality monitoring and clean water indicators is a good way to fully understand your lake’s health and ecosystem. In science, two explanations that come to the same conclusion are better than one. As Minnesotans, we love cruising along the lakes in our watercraft. Whether we are heading to our favorite fishing spot, waterskiing, or taking a sunset cruise, not much can top the feeling of taking in the fresh lake air. Our lakes are some of our most precious resources. Especially here in “Lakes Country”, we understand the value of enjoying the lakes and the economic value of tourism involving our lakes. So, what is lake stewardship and how do we promote it? 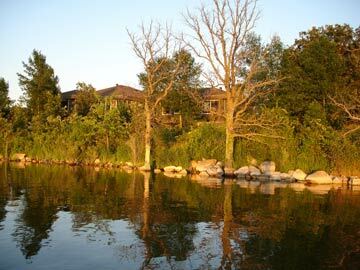 These educational articles are written for lake associations and their publications. Please feel free to use these articles in your newsletter. We just ask that you credit the RMB Lakes Program,lakes@rmbel.info, www.rmbel.info/lakes.